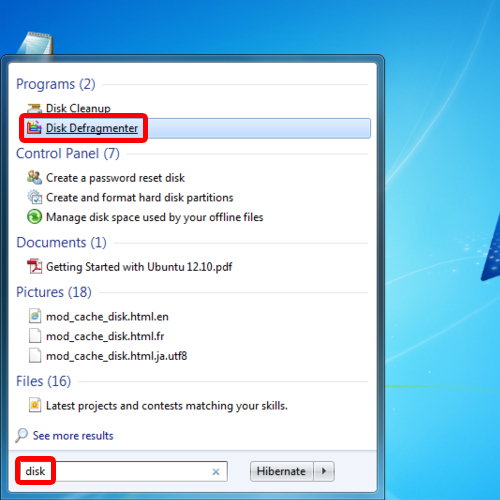 In this tutorial, we will teach you how to defragment hard drive in windows. In this tutorial, we will teach you how to work with defragmenter in windows. We will set the defragmentation schedule. Furthermore, we will analyze the disk we want to defragment as well. 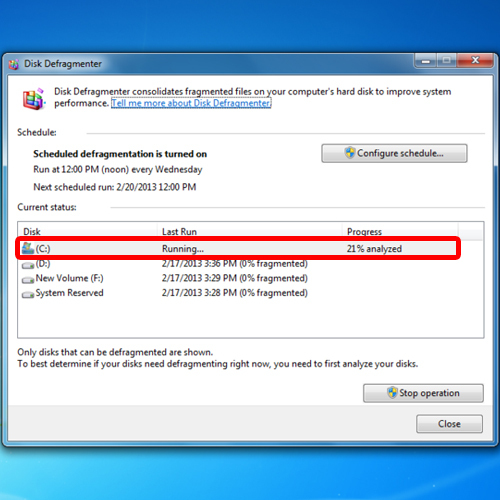 Follow this step by step guide to learn defragment hard drive in windows. First of all, go to the start button and in the search bar, type in “disk”. 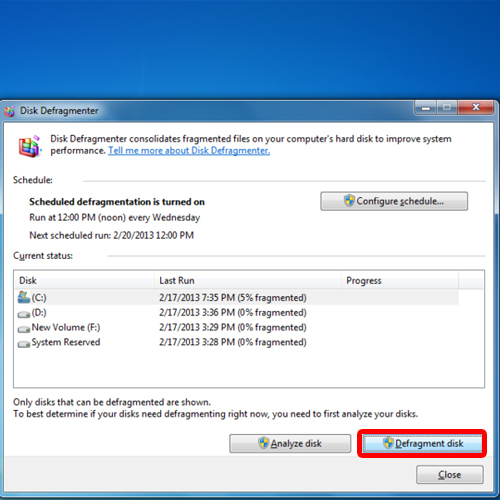 From the search results, choose the disk defragmenter option. This will open up the disk defragmenter. Over here, you will be able to see the scheduled time for defragmentation. Click on the configure schedule button to change the schedule. Choose a time that is suitable for you and when your system is idle. You can also set the frequency of the defragmentation process. 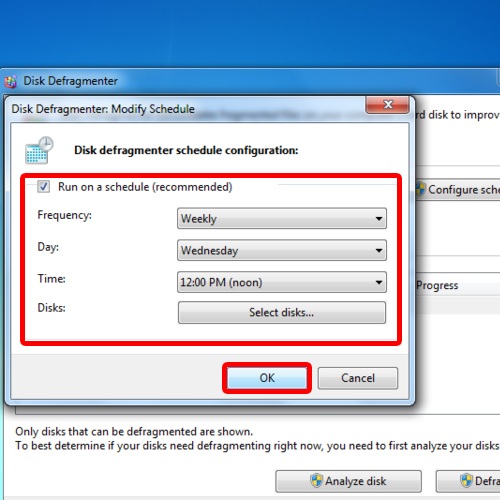 Once you are done, click on the “ok” button to set the new schedule for the defragmenter in windows. Next select the disk you want to defragment. For the purpose of this tutorial, we will choose Drive C. Select the drive and click on the analyze disk before you actually run the defragmentation process. Analyzing helps you best determine if you need to run the procedure. 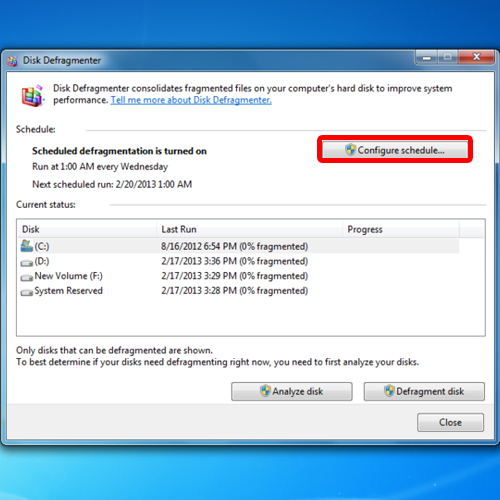 Once the analysis has been completed, click on the defragment disk button to run the defragmentation procedure.